One of the beauties of Abalone shell jewelry is the iridescence of each natural piece. The shifting colors are particularly effective in earrings, especially the dangling style. These stunning earrings will be sure to catch the eye when you wear them and garner tons of compliments. They also make the perfect gifts for any occasion. This page showcases some beautiful Abalone earrings. Whether you are shopping for yourself or are looking for gift ideas, a pair of these abalone earrings will be ideal. 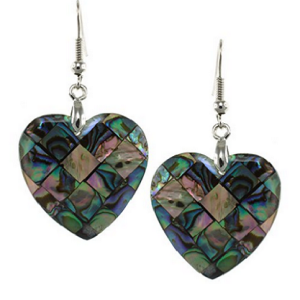 The heart shaped abalone shell earrings are available for purchase at the bottom of this article. These genuine abalone shell earrings would be the perfect gift for the animal or owl lover on your gift list. A truly unique and beautiful design that displays Abalone seashell quite beautifully. I especially like abalone shell when it is used for the eyes of an animal. Sometimes, they almost look real. Each owl is just a little different, because each cut of Abalone shell is different. These earrings are French wire earrings made of rhodium plated alloy. They are 24 millimeters from top to bottom, which is slightly less than one inch. You may notice in the actual listing description and title that they are called Paua shells, but don’t worry, they are definitely abalone shells. Paua is simply the Māori name for the same shell we call abalone in the US. Abalone has another name as well. They are called Ormer shells in the United Kingdom. The combination of leather and Abalone shell certainly makes a very unique pair of earrings. These earrings are gold filled, which is the process of bonding a layer of gold to a metal base, and they were made in the USA. They are 1.8″ in height and have a fishhook backing. These earrings would make an ideal gift for the lady in your life, especially if she prefers unusual or unique jewelry. It is very unlikely that she will ever see anyone else wearing a pair of earrings like these, unless they ask her where she got them and then intentionally copy her style. These dangle teardrop shaped abalone shell earrings are set in sterling silver and are absolutely gorgeous. I really love the floral vine design of this setting. It has a very elegant, perhaps even delicate appearance that would certainly appeal to a lady who loves vintage inspired jewelry. The earrings are 1.69″ long, but that measurement includes the fish hook closure, which means the actual abalone shell is approximately half that length. These earrings would truly be a lovely gift for any occasion. Of course, you may well choose to simply treat yourself. These earrings would be quite stunning with any fashion style, from formal to just plain jeans and a sweater. Abalone shell earring are available in a variety of shapes and styles. There is sure to be an earring style in Abalone shell that will suit every taste in jewelry. Whether you have long or short hair, either pair of these beautiful earrings would look lovely dangling from your earlobes. I have also included a few post earring selections for women who don’t wear wire earrings. 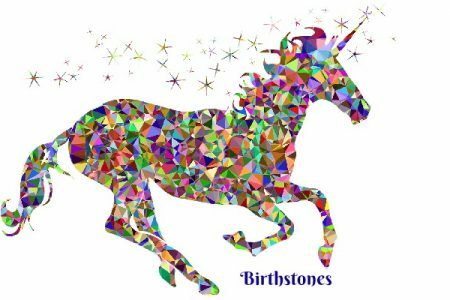 Their iridescent rainbow of color is always stunning regardless of the shape or backing! Give a symbol of your love with these Heart shaped earrings that measure 25 mm wide. A lovely way to broadcast to the world who owns your heart. These earrings would definitely be a cherished gift!